Rick Huijbregts, Cisco’s vice president of industry transformation, says that the centre isn’t just meant to function as a physical space for entrepreneurs to meet — rather, the space is meant to physically bring together many aspects of the company’s innovation strategy. Cisco’s Networking Academy, the company’s IT skills program that boasts 400 college and university partners, will have students working out of the space alongside graduate students from universities working with Cisco Research Chairs — sponsored postsecondary professors from across Canada that work with Cisco on special projects relevant to their field. 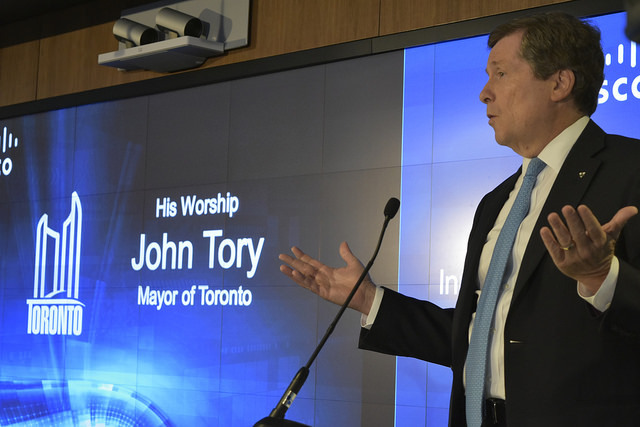 The projects at the Innovation Centre will focus on IoT, FinTech, and health care innovation. At the same time, Cisco has established its own investment fund to directly fund innovative startups in the city, and is working with experienced venture capital firms like OMERS Ventures, McRock Capital, and Georgian Partners to give it perspective on up-and-coming startups and allow startups in their portfolio to leverage Cisco resources. 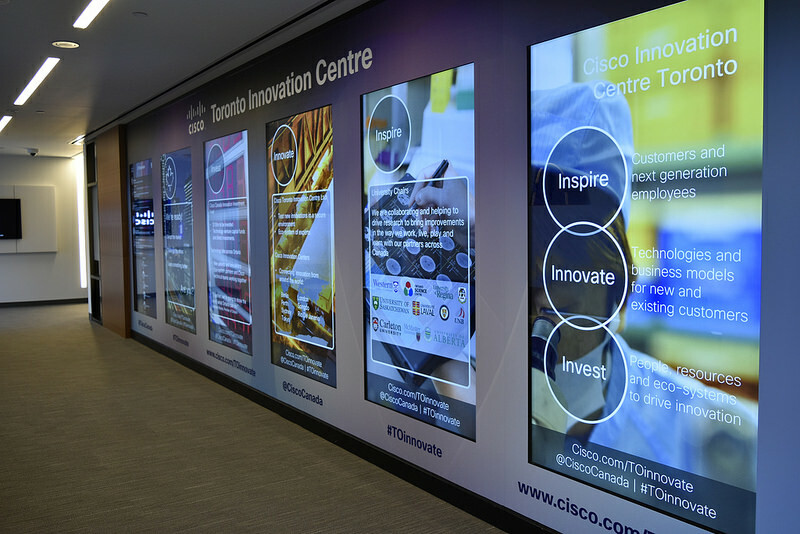 Cisco is already working with Canadian startups like OTI Lumionics and ChargeSpot. “So many startups ask for connectivity to large corporations that have access to tremendous resources, but this is a candyland for startups thirsting for so much of this innovation,” said OMERS Ventures CEO John Ruffolo. 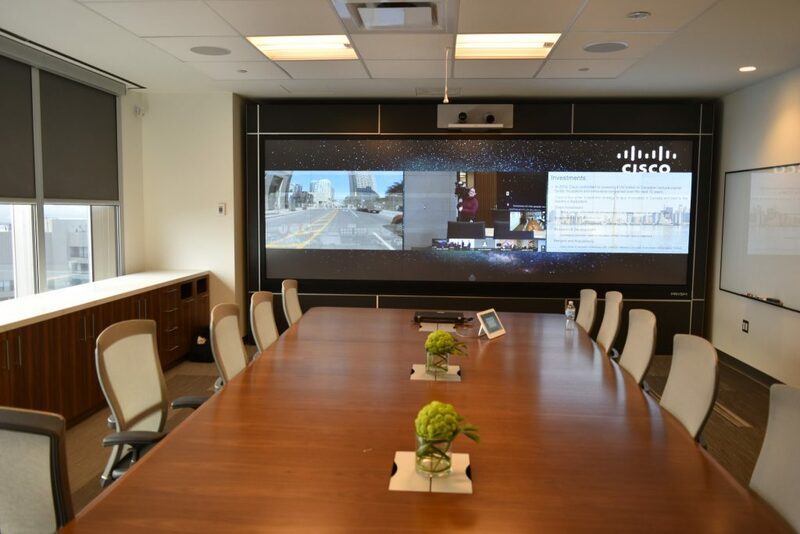 “Cisco has committed to changing the game from a corporate perspective for a number of years. 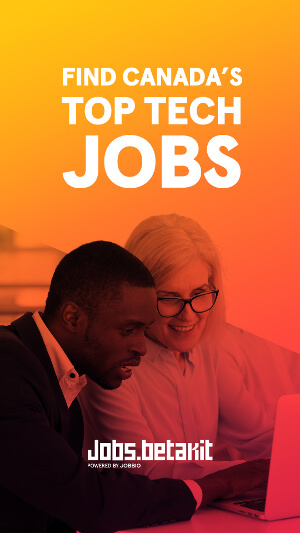 Not many have done that, and now other companies are starting to see this disruption is occurring and they need to understand what’s going on at a grassroots level.” Cisco spends $100 million a year on research and development. When asking startup founders about their journey from their early days, many fondly recall memories of surviving on instant noodles while trying to build a product that had nothing going for it except its founder’s fervent belief. 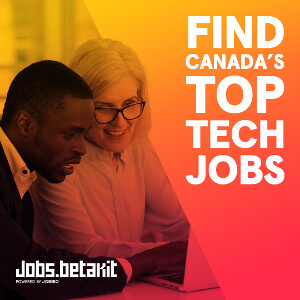 But as these same startups catch up to large enterprises and become bonafide competitors, large enterprises like TD, and even Canadian Tire, have taken to establishing themselves in hubs like Waterloo. The trend is inevitable, and attractive to startup founders that greatly benefit from accessing companies with global scale and resources. “Startups are used to working in certain spaces and that’s a wonderful seed position to take. But when they want to commercialize that solution that they’ve been thinking about in their dorms, and do interoperability and testing with other technologies where their solutions might fit in, they don’t have the dollars or access to infrastructure,” said Jim Grimes, who helped create Cisco’s innovation investment strategy. Just as the Canadian startup ecosystem has transformed into an economic force over the past five years, it will be interesting to see whether this transition of startups working out of dorms to solve problems that Fortune 500 companies don’t see, to working directly with them, is the beginning of a new stage of growth.